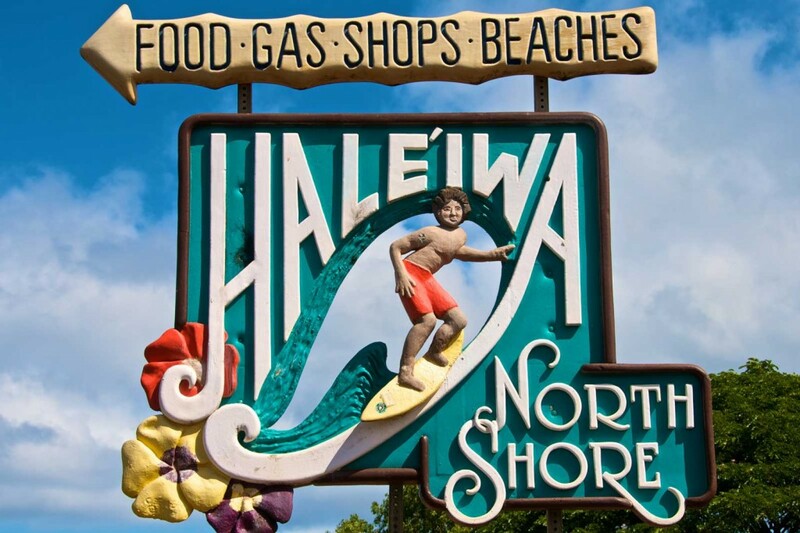 Hale’iwa has a couple of welcome signs in town, this one features a man surfer and has a complimentary woman surfer nearby. Oahu’s North Shore is known around the world as a one of the most sensational winter surf spots…anywhere. During the winter there always seems to be a surf competition underway. And any time of the year there seems to be someone carrying a surfboard around town. Even with all the activity, Hale’iwa manages to stay small, local, and laid back.